Great to see 11 RS Aeros out at the first RS Aero event alongside the 470s at Sauerland, Germany to the west of Dortmund. 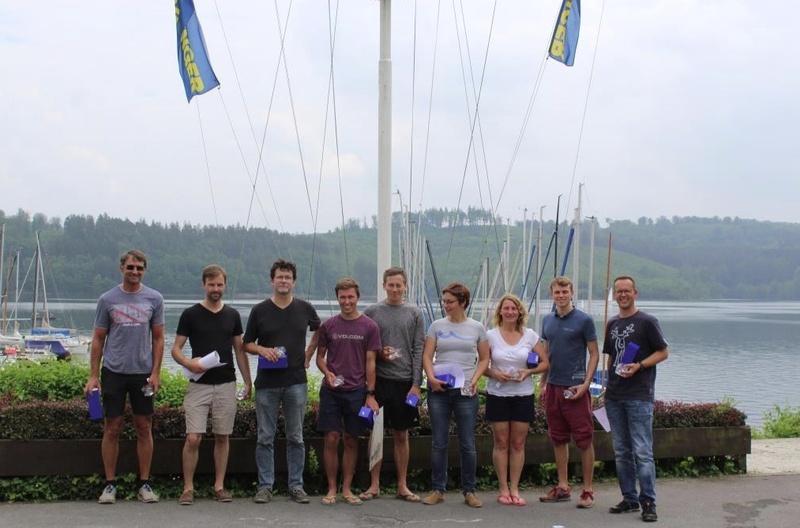 For the first time, the Sauerland-Cup for the RS Aero class took place at the Kanu-Segel-Club Hemer e.V. , initially in good wind condition. The first two races were similar to a lottery game. It took good luck to be on the right side when the wind came or went. As if that was not difficult enough, the passenger ship went through the regatta field several times creating an interesting challenge. Unfortunately, the wind fell asleep after a massive wind turn, so that the 3rd race was canceled. On Sunday the lake was as smooth as glass. 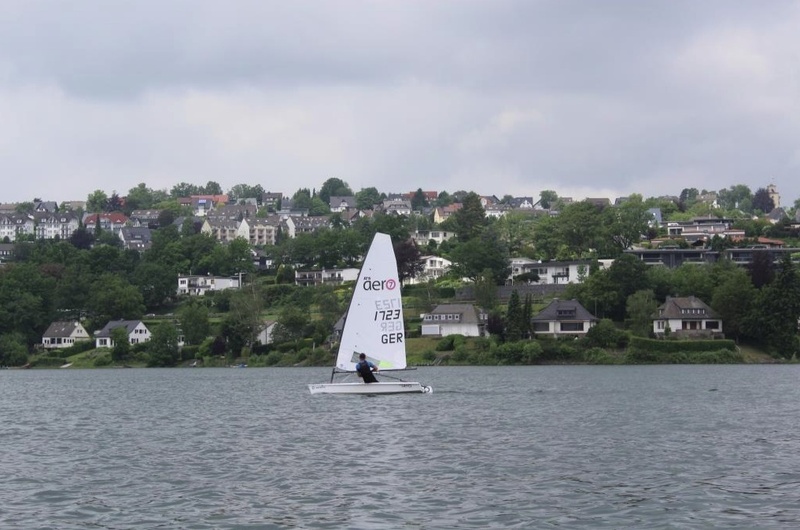 The sailors waited patiently until the race director Günther Nülle finished the regatta with three strokes at 13:00. The races lasted 38 minutes and in the end the winner was ... ... Marcus Walther.